Thursday the 25th January 2018 marks the first day of Industrial action taken by Sydney Trains staff. 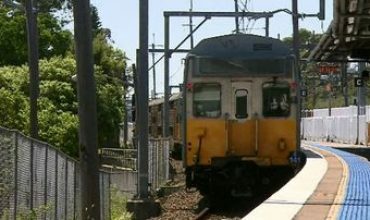 Sydney Trains staff are demanding a pay rise of 6 percent per year over the next four years and better conditions. I can understand the need for better conditions, but Sydney Trains staff do not deserve a pay rise. 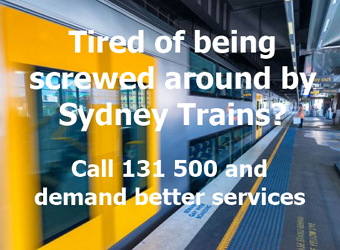 When trains run on time, show up when they are supposed to and Sydney Train staff stop being rude and obnoxious towards the public of whom pay their wages, is when Sydney Trains staff deserve more money. It’s time to start firing and hiring. Here’s a novel idea.. employ people who are grateful to have a job and fire all those that are currently disrupting the public from getting to work. I do acknowledge that the hiring and firing process will cause disruptions, but it seriously cannot get any worse than it already is. It’s probably time the Government grew a set of balls and simply denied the pay rise and asked for the situation to be negotiated in a non-disruptive manner. The Industrial action taken by Sydney Trains is already taking an economic toll on NSW. 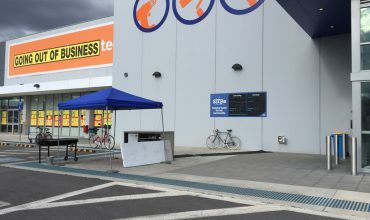 Industrial action like this should be illegal and unlawful. Sydney Train staff are once again only thinking about themselves and not the public or the company that has helped pay their way. If you want to talk about better conditions, let’s start with the public. We want all services to be air-conditioned. More seats to be available on Central Coast to Central train services. Wifi on the Central Coast to Central train services. Guard announcements not to be yelled at to passengers and not to be a pre-recorded. Loose the pre-recorded apology-announcements, and apologies sincerely from human to human. If Sydney Trains staff continue their behaviour there will be no need for any of their staff to show up to work tomorrow. I arrived at work without an issue, like many from Sydney and we did not do it by the use of trains.